Food so good you'll slap yo mamma! 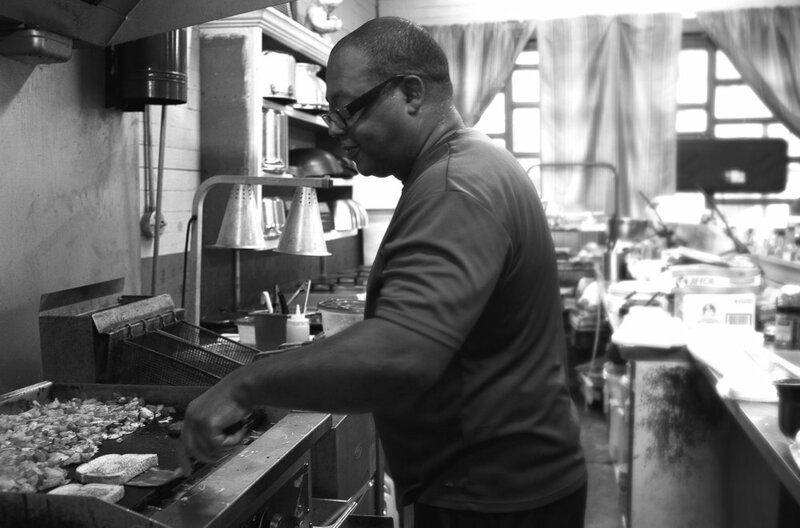 Big Al’s specializes in Southern comfort food with a lot of soul. Be sure and ask about our daily breakfast and lunch specials—or, just drop in for some iced tea and see what’s up on the blackboard. And if you see Big Al, say hello (if he hasn’t already beat you to it). Big Al’s caters any and all events and functions. Corporate functions, office parties, board meetings, weddings, anniversaries, holidays and other special events – Breakfast, lunch or dinner! Check out our catering menus for your next event or function. For parties above 150 we'll need at least a week to prep. Reach out to us is you have any questions or would like to place an order. 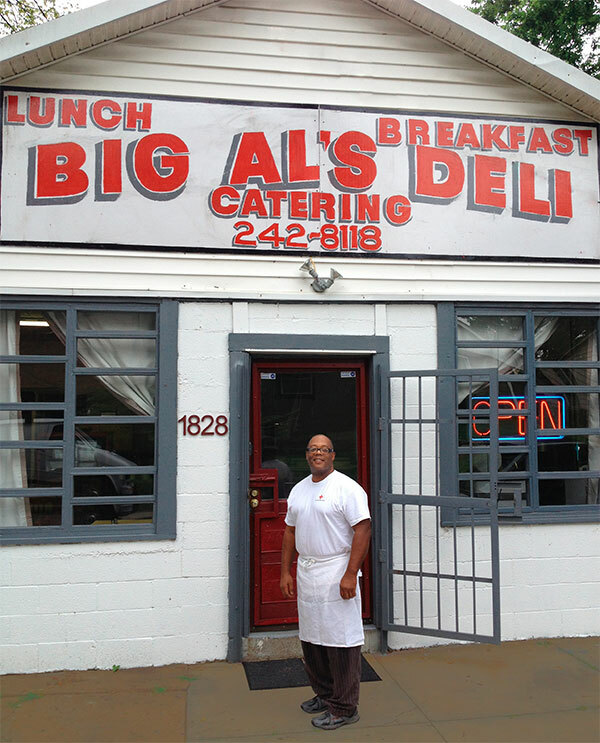 Big Al is well known around Nashville for his culinary flair, unwavering dedication to his craft and for those who know him, a true role model for the youth. He is also an exceptional father to his son and daughter – an attribute scarce these days, but the emphasis here is Al’s ability to bring joy via the tastebuds. Big Al has been featured on The Food Network Channel (HeatSeekers) and represented as a local celebrity chef on Channel 5 Talk of the Town program over the past 15 years. Al is a Christian who loves the Lord and all the people of this world.